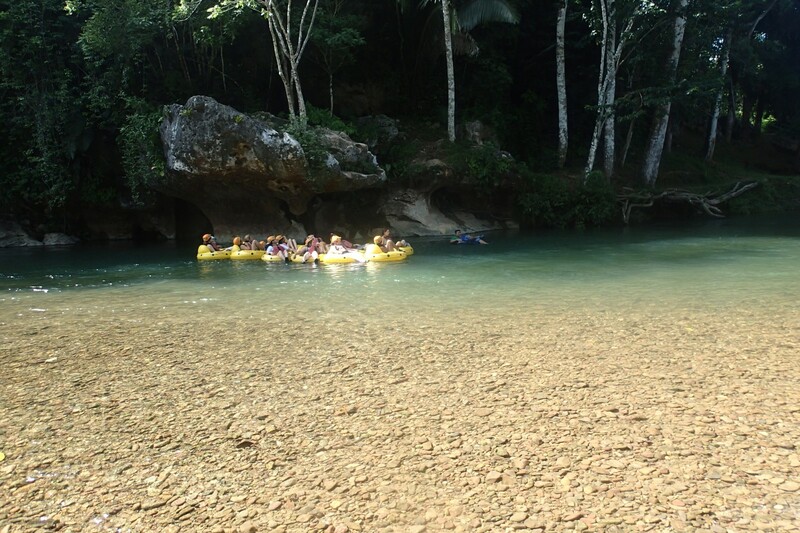 Tubing + Caves + Jungle + Blue Water = Fun. 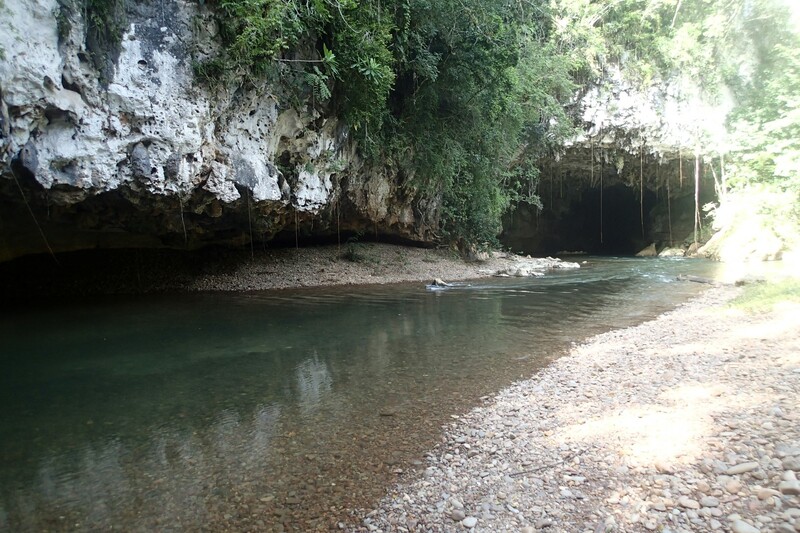 Cave Tubing in Belize! I think I have mentioned that I love caving before. You know – spelunking – going subterranean, however you want to explain putting on a helmet with a light and going into a world of stalactites, stalagmites and … sometimes bats. I know it’s not for everyone but I love it. I also love water. Anything to do with water is great. I’m a Pisces and while I am truly skeptical of Astrology I do love the water. Blue, cool, refreshing – any way you serve it up, I’m in. Add one more thing to the list for this post and it’s green, thick, lush jungle. There’s something captivating about being in a jungle. The intertwining of the vines, trees, bugs, lizards and all other kinds of life is somehow always amazing – even when the humidity is 100%. So, in Belize, they’ve got these bases covered – and some smart folks wrapped it all up into an activity called ….. imagine this …. 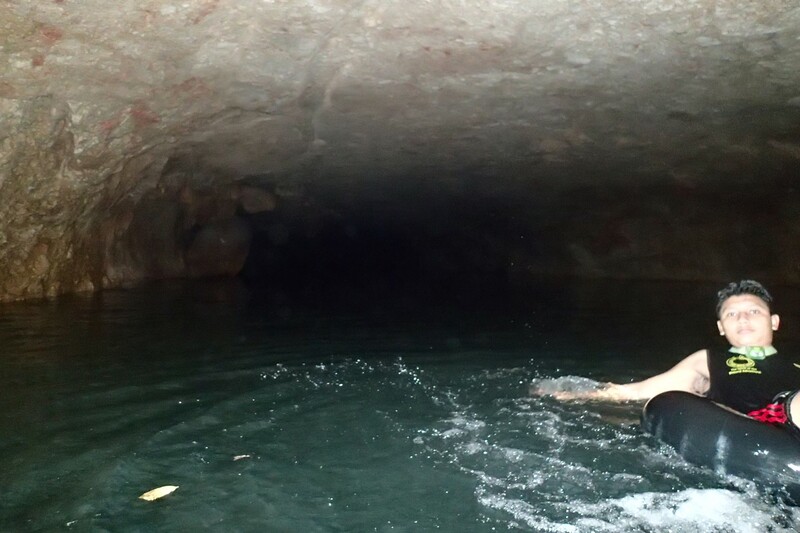 Cave Tubing. 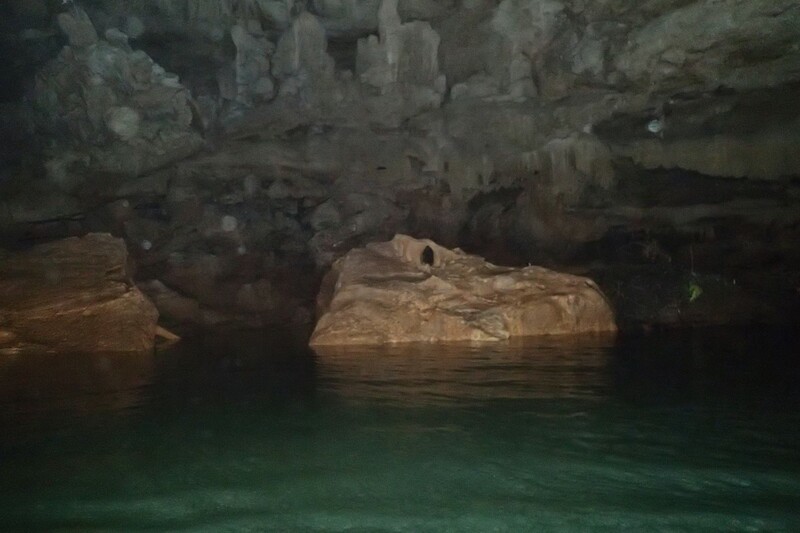 Cave tubing is like a Disney ride. Like … the best Disney ride. Because it’s actually real and it actually lasts for about an hour while you are doing it. This may really be the simplest blog post that I have written yet. Nothing deep at all. Although most people arrange a tour from where they are staying I chose to find the place myself. It’s called “Cave’s Branch” (gotta love the fact that everything here is in English) and it’s easy to find but again – your hotel can hook you up if you don’t want to try. 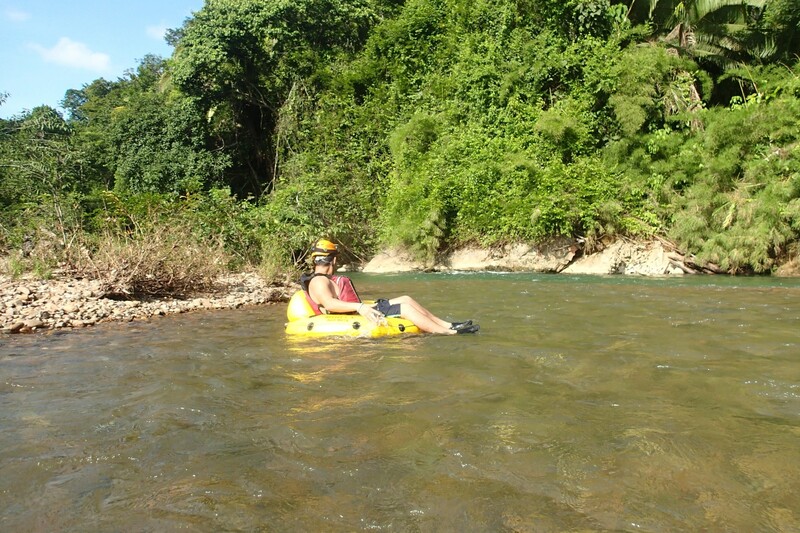 For me, I drove a scooter from my hotel, I went to the agency office (http://cavetubing.bz/cavetubing) , I paid $40 US dollars, they sent me down to where the river was to meet the guide, I put on river shoes, grabbed a tube, walked with the group for 20 minutes through a gorgeous stretch of jungle and got to the drop in point. 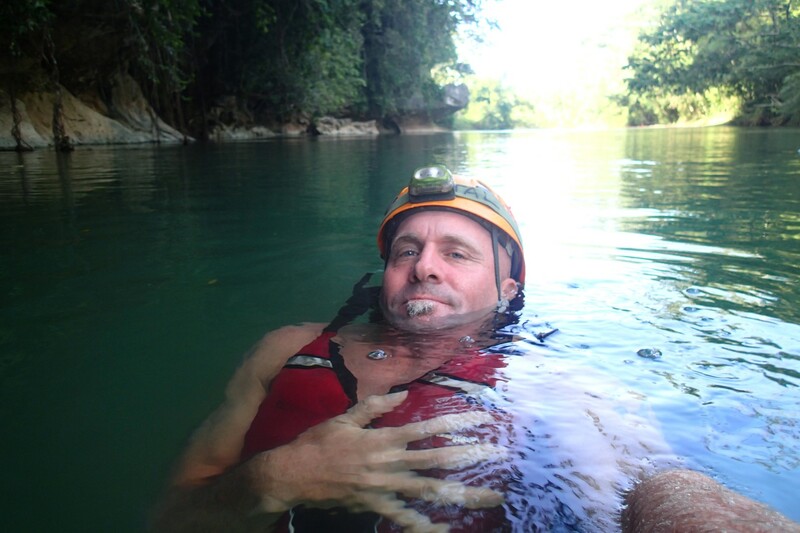 We tied the tubes together and for the next hour we floated in and out of a series of limestone caves on an aqua-blue river with a perfectly cool temperature. I think it says a lot about an activity that the people in my group were Belizeans who brought their friends from out of town to come to an activity which is their favorite thing to do in Belize. Clearly this tourist attraction is the real deal but then again, I didn’t need to be convinced of anything – I was sold! 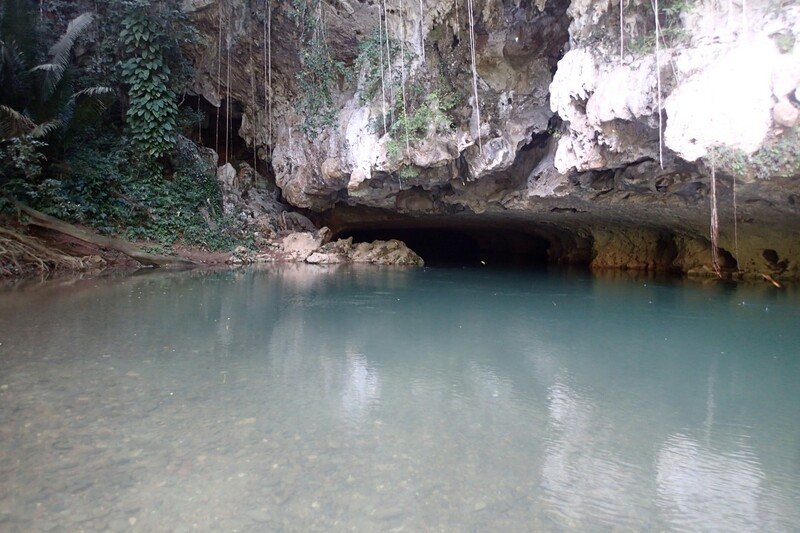 I don’t think there is a whole lot more to say than that aside from the fact that the place where I went is actually simply called “Cave’s Branch River” and it’s more or less in the middle of Belize and is a day trip from anywhere that you are in the country. I could have actually gone when I was on the island of Caye Caulker but at the moment I have moved on to the mainland and am really on the opposite side of the country and it was still only about 1.5 hours away from me by scooter. 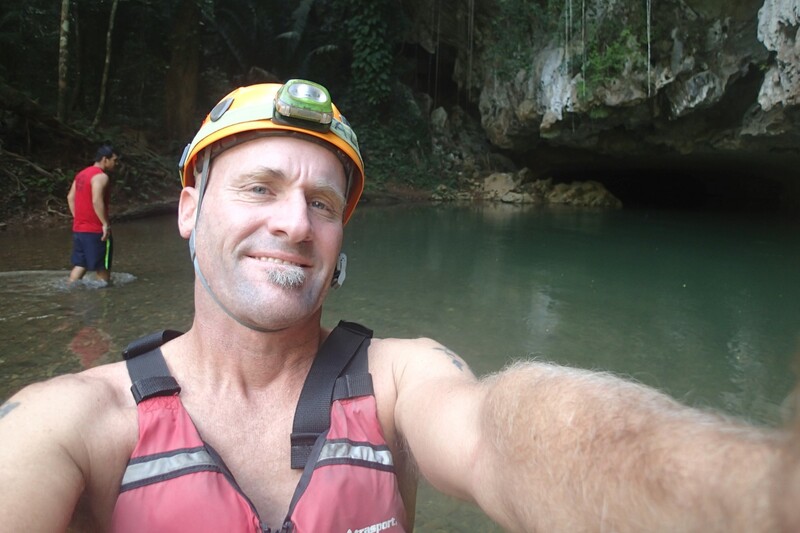 Cave tubing in Belize – if you come to this country and you want to experience something literally cool, mellow and unique just ask around – someone will point you in the right direction. Without question don’t take a trip to Belize and skip this! As the Curious Adventure continues next stop, Guatemala!